My name is Robert Loftin and I am a graduating senior. I chose to pursue an internship in extension this semester to help familiarize myself with the daily routine of an Extension Agent. Being that I own beef cattle, this was the ideal position for me as a student. During my time as an Extension Intern, I have been able to experience the preparation that is involved with events made available for Mississippi producers. The first big event of the semester was the Mississippi Beef Cattle Improvement Association (BCIA) sale in Raymond, Mississippi at Hinds Community College. Weeks before the sale, I helped create the catalogs that would be sent to prospective bull buyers containing information about the bulls that were being auctioned. The night before the sale, I was able to interact with producers from the state at the BCIA meeting. During the sale, I helped work the bulls through the chute during the auction. Interacting with producers was my favorite part. In the Ag industry, making connections is crucial. The next event I helped with was Beef Day at Mississippi State. It was designed for beef cattle producers to learn more about the different cuts of meat and how to figure out carcass data such as Rib Eye Area, back fat, and the USDA grade and how these are determined The meat lab had a steer for the producers to fabricate into wholesale cuts of meat. The best part of Beef Day was eating the Ribeye steaks that Dr. Dinh and Dr. Burnett cooked, now those were good! Later on in the week was the highly anticipated Artificial Insemination School. I had helped to prepare for it by putting together binders for people that attended the course. During AI school, I met a lot of people and helped move cattle and assist people with their insemination techniques. It was a great few days and I learned a lot about Artificial Insemination. 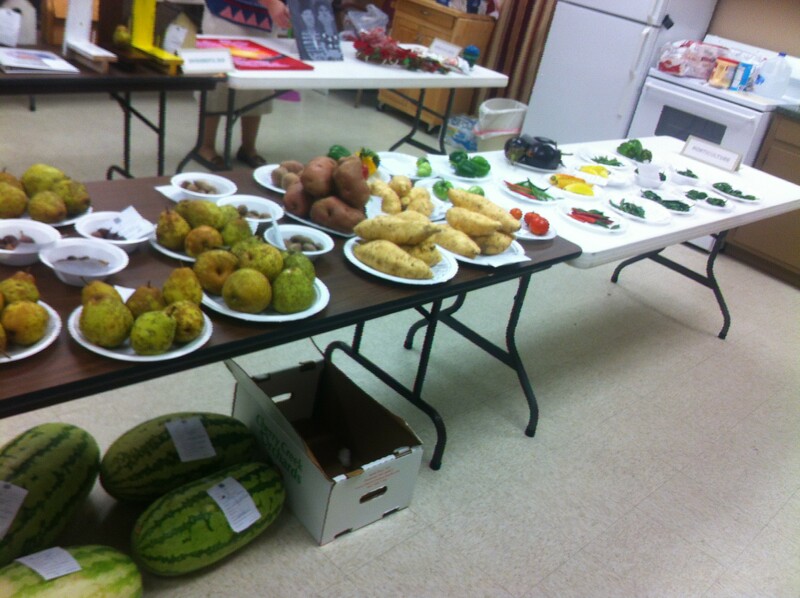 As an Extension Intern, I learned so much about the events that Mississippi State Extension puts on and I also learned a lot about the day-to-day paperwork that these events entail. Before my internship, I was unaware of all the preparation that Brandi, Cobie and Mari do to make these informative events, possible. Thank you to Mississippi State Extension for allowing me this experience. My name is Ryan Smith; I am a senior majoring in Animal and Dairy Science. I have enjoyed my 3 years at Mississippi State University and have learned a lot in my time of being here. I have gained a lot of knowledge over the years that have benefited me as a farmer on my family’s beef farm. During my last semester at MSU I had the opportunity to complete an internship in beef cattle extension. Through my internship I gained knowledge about the beef industry that will benefit me as I try to expand my herd, market cattle through different channels and properly care for the animals. I had to complete an internship for my major and after talking to Dr. Brandi Karisch, Beef Cattle Extension Specialist, I decided to do the beef extension internship. I felt like I could benefit from this one the most for my personal and professional career goals. During my internship I worked side by side with Dr. Karisch and Mr. Cobie Rutherford on all of the projects they had going on during the semester. The first project I had to work on was getting information ready for the Beef Cattle Improvement Association (BCIA) bull sale in Raymond, MS. For this I had to help put together the sale catalog and data in on the bulls for the catalog. I also helped with getting the catalogs sent out to producers and potential buyers. One the day before the sale went the sale location to start preparing for the sale and checking in the bulls. That night we helped with the annual BCIA meeting and served the members dinner. The next day at the sale I assisted with the sale bringing the bulls through the ring. The next big project I assisted with was artificial insemination (AI) school. This is a weekend class from Thursday night till Saturday at noon educating producers about the benefits of using AI and how to do it properly. 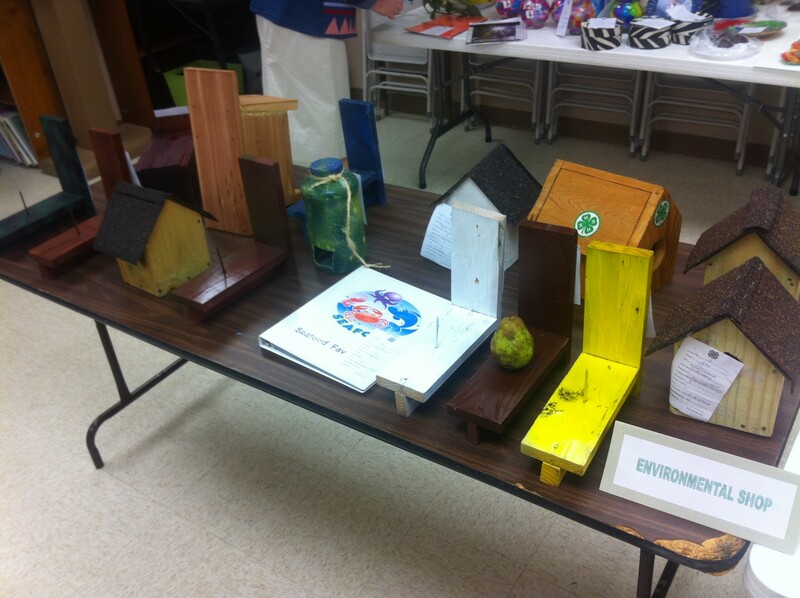 This class is composed of hands-on experience, wet labs, and in class learning. I helped to get the material ready for the class and help the producers in learning how to properly AI. During the hands-on lab I assisted with checking passes and helping the producers with trying to get a better grasp on the process and giving them advice on better techniques for performing the process. Another project I had to do was help get material ready for Law Enforcement Training and Beef Quality Assurance. The Law Enforcement Training program was to assist law enforcement officers with properly handling of livestock when they run into them on the job. This was a great course for officers because there are several times when they are on the job and have to deal with livestock and they do not have the proper training to handle them and end up scaring the livestock more. The Beef Quality Assurance is a course for producers to help them with proper handling of livestock and proper ways to treat livestock such as where to give injections. One of the last things I did was write an article for the BCIA newsletter. For this article I call Mr. Danny Martin “BCIA President” and interviewed him about his life and plans while being the president of the association. After talking to Mr. Martin a series of questions I took the information he gave me and wrote an article to be published in the newsletter.
. Doing this internship was one of my greatest decisions in my career as an ADS major at Mississippi State University. This taught me a lot of things about the beef cattle industry and extension. I would encourage any student especially that is interested in beef cattle and extension to do this internship. I have made several contacts during this internship with some great people that will be very useful later on in my life and career. I am very thankful for my career at MSU and everything I have learned while I have been in the ADS department. The people in the department are, just like every other livestock producer I have met, some of the nicest and most helpful people you will ever meet. They will go out of their way to help you out and try to teach you everything they can. I have thoroughly enjoyed my time at MSU and am looking forward to graduating and going on to the next step in my life. My name is Trusten Moore and I am a senior, majoring in Animal and Dairy Sciences. You might have read some blogs of mine in the past! Throughout my time at Mississippi State, I have had the amazing opportunity to complete three internships, two of which I gained a class credit for. My first internship was with the USDA, doing research on corn, followed by a summer spent living in Ocala, Florida, working at a specialty equine practice and small animal emergency center. These internships have given me so many connections and have helped me explore many options as a future veterinarian, and for this, I am thankful! As I was preparing for my last semester, I wanted to find another internship. This semester Dr. Brandi Karisch and Mr. Cobie Rutherford took me under their wing as the Beef Extension Intern. When I first interviewed for the position, I was a little afraid. I was never raised around cattle, so I as afraid I was not the right person for the job. Actually… I knew NOTHING about the industry! Ok… maybe I have been taught the basics in my ADS classes, but still, this was a new world to me! We discussed some upcoming projects with extension and the various roles I had in these projects. Dr. Karisch assured me that I will be fine and that this will be a great learning opportunity. The semester was off to a busy start! I was hired at a local animal hospital, which made my schedule even more hectic. When I was not in the classroom, I was working. When I was not working, I was studying. As you can imagine, finding a way to manage everything was most definitely a challenge. My first project of the semester was A.I. (Artificial Insemination) School. This is a weekend class available through the Beef Extension Services. Our goal for this class is to educate producers on artificial insemination and how it can better their production. This class was composed of 30 producers from several different states. We had lectures, wet labs, and hands-on labs throughout the three-day course. I was in charge of helping facilitate the event. I helped get materials ready the week of the event and made sure they were put out and in the right spot during the event. The best part of this event was when I got to “glove-up” and help teach! I have always loved to teach and plan to go into academia as a veterinarian, so teaching producers how to A.I. was such a fun and rewarding experience. This was a moment when I was able to see that my education at Mississippi State has most definitely paid off! Every question that the producers asked me, I was able to answer. My next big project that I had the opportunity to help with was the Beef Quality Assurance training. This is a program put into place to educate producers on the quality of the product they are producing and how they can improve the quality. Meetings are held throughout the state, and I was able to attend the meeting in Tate County. I helped get the supplies ready and helped with registration. The training consists of doctors from the vet school, beef extension specialists, and extension agents leading the lectures. Participants must sit through the lecture and pass an exam at the end. I passed! I am now Beef Quality Assurance certified! I am glad I had this opportunity because I now know the important roles that our producers play in maintaining good quality meat for consumers. I was also able to use this experience in a recent vet school interview! Isn’t that cool? These were my two main projects that I was able to help with this year. These projects have helped me grow in the cattle industry and have shown me the many opportunities that extension has to offer. I want to thank Dr. Karisch and Mr. Rutherford for taking me on this semester and for being fantastic role models for the beef industry. As always, being involved in internships during an undergraduate education is something that I highly recommend to current and prospective students. These internships have given me connections all around the country, which can come in handy later in life. As I sit and reflect on my education at Mississippi State, I am very thankful. I am thankful for the Animal and Dairy Sciences department and the direction this department is heading. I am thankful for all of my professors and the rest of our faculty in this department. My time in Starkville has been unforgettable! Now it is time to walk across that stage and begin a new chapter. 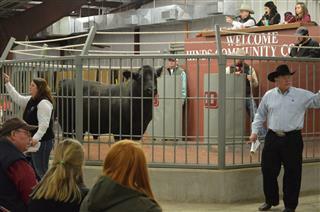 Week 12 was a big week for us in Beef Cattle Extension, the Fall BCIA Sale. This is another one of the big events that we have been preparing for all semester. The BCIA sale is an opportunity for producers with just few bulls to market their bulls through a live auction sale format. On Monday I helped gather the last bit of things to take with us on the sale Wednesday. On Wednesday morning we left for Raymond to prepare for the sale the next day. Once there we had ensure early arriving bulls were in correct pens. We then had to take weights on the bulls also giving them a visual score to help determine sale order. Then that night we had to prepare dinner for the BCIA meeting. Thursday was the sale and my job was to help check out buyers with their purchases. Helping with a sale like this you truly realize the time and effort that goes into them along with the amount of man power needed for a sale to run successfully. Believe it or not just because a sale is over doesn’t mean the work is done so week 13 was spent finalizing and putting things away from the sale. Earlier in the week Tyler and I took all the stuff we had used out of the storage unit back. While there we also reorganized some things and put up another shelving unit. On Friday we printed out letters to send to consignors and buyers informing them of sale averages and future dates. Along with the letters we will send out detailed invoices for each producer’s records. We should finish these up Monday and have them ready to send out to the buyers and consignors. Beef Extension Intern – Tucker W.
On Monday of Week 9, Tyler and I took all the AI school materials out to the shed at beef unit. It was good to finally put away AI school stuff and move on to the next activity. On Wednesday of that week I left for Block & Bridle Convention in Lubbock, TX. While there on Saturday listening to speakers for various areas of animal agriculture, I was able to tweet some interesting quotes and facts from the speakers. I think the MSU Beef Cattle twitter is a great what to get bits of information out to producers, who believe it or not are on social media, along with getting correct information to our consumers. So make sure to follow us @MSUBeefCattle for updates and info. Week 10 was a slow week were our main task was getting Dr. Karisch moved into her new office two doors down. It took a crew of us to get her moved, but we were able to get it done in one afternoon. Now our main event is to get ready for the BCIA sale coming up. A.I. School finally came around this week. It felt like every week I did something to prepare for the fall A.I. school. I think this goes to show the amount of time and effort that goes into Extension programs for producers across the state. Early in the week I was able to put the last bit of information into the binders for participants. On Wednesday, Tyler Braud and I went and gathered all the supply’s needed from the storage unit. We sorted through the boxes to ensure we had all the necessary equipment going to each unit and also paper goods for the meals. Thursday was spent working on last minute things to prepare for participants coming that night and also a trip to Wal-Mart, which proved to be an adventure with Mrs. Mari. Thursday night once A.I. school started I just helped ensure participants went to the right stations along with setting out reproductive tracts. Friday and Saturday I helped participants to ensure they were passing A.I. rods into the cows properly at the dairy unit while another group was at the beef unit. A.I. school was good success now it’s on to preparing for our next event the BCIA sale. Beef Extension Intern- Tucker W.
Week 6 was all about the State Fair in Jackson. On Monday I helped Mrs. Elwanda Shook sort retinal images. Like humans have our own unique fingerprints, each animal has a unique retinal scan. Every market animal and commercial breeding animal shown at State Fair and Dixie National is scanned in mid-September. After each division the champion and reserve animal must be rescanned to ensure it is the same animal that was validated in September. I sorted each animal’s retinal scan in numerical order according to their ear tag, so images could be easily found when animals are rescanned. That was my main office job for the week before heading to the State Fair. On Saturday at the fair I helped with the FFA and 4-H Livestock Judging Contest. I helped ensure the classes made it to the Equine Center and were in the proper pens. I also helped Corey, Dr. Karisch’s grad student, take reasons for a class of breeding ewes. There were over 100 kids in the contest which made it a great success. This week was a shorter week for me. I enjoyed Monday off at the State Fair in Jackson with my family. I always enjoy going to shows and seeing young people and their livestock projects because I know I would not be where I am today without those experiences. On Wednesday Mr. Crow asked me to clean the trailer out that he took the pigs in to the judging contest on Saturday of the fair. Thankfully that didn’t take as long as I expected due to the high powered hose at the MAFES shop near the dairy. Friday was spent proofing and finalizing the BCIA sale catalog. I had to check to make sure EPDs and pedigrees were correct and also make sure each page was formatted correctly. I often receive sale catalogs and until now did not truly realize the amount of time and effort that goes into them. I’m sure this next week will be extremely busy with AI school coming up. Extension Intern – Kelsey H.
I arrived at the office Wednesday September 24th morning. I knew it was exhibit day so I was excited but yet did not really know what to expect. I walked in and the room was covered with different exhibits. 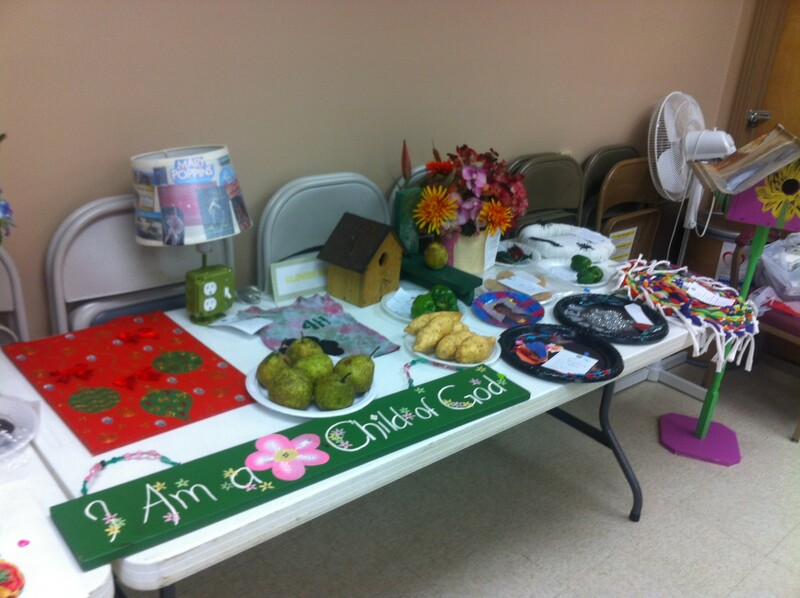 The kids brought in vegetables, shirt pillows, paintings, bird houses, cotton, soil, etc. I was amazed at how many items they brought in. The judges showed up around 10:00. I assisted them by taping the ribbon to the paper with the name and item wrote on it. Once they finished, Mrs. Debbie and I went around and wrote down the placing of each item. By the time we finished doing that, it was time for lunch. When we got back from lunch we put everything in the computer using spreadsheet. We had to have everything that was going to the State competition sent over before five so we were rushing to get finished. Thursday September 25th, I got to the office and started grouping the items by the kids’ names so when they came to pick their stuff up it was all in one spot. As I waited for people to arrive, I got started on another newsletter (the 4-H newsletter). I helped parents gather items, box them up and figure out which vegetables they wanted to take to the Mississippi State Fair. I did this for every person that came in. Most of the items were picked up by the time we were leaving. I also had plenty of time to finish addressing the envelopes so that Mrs. Debbie would not have to do it on Friday. We ended the day by emptying the trash cans. This week was a slow week because of the Mississippi State Fair. Monday morning I started the day off by helping Mrs. Debbie do office work. We had news letters that needed to be sent out so we worked hard to get them finished by 10:00. It takes time doing two hundred plus letters. We had to print off the letter, fold the letter, stuff the envelop, address the envelop, and then stamp the envelop. That Wednesday when I arrived, I was told we had another newsletter to do. Mrs. Debbie said she had already addressed them so I finished everything else up and got them ready before lunch. After lunch, we ran some errands. BJ and I took the letters to the post office and then went to the court house to pick up their checks. Once we left there, we went back to the office to drop off the check and went on a farm visit. We returned to the producer who wanted to plant Alfalfa hay to collect soil samples. Saturday, started our time at the Mississippi State Fair. I arrived at 7am. The day started off with a livestock judging contest. I watched BJ as he showed the steer so the FFA and 4-H participants could gather their reasons. After that we were done until 3pm. During lunch, I volunteered to help the Cattleman’s Beef Barn. I met BJ back at 3 where the steer show was being held. I helped he and other extension agents. I passed out the ribbons to the exhibitors as they finished showing. After three hours of doing this I was exhausted and ready to go. I showed up the next day and passed out ribbons for the Beef Showmanship. This was my first experience at the Mississippi State Fair and I had a great time and learned so much. Oktibbeha County Extension Intern – Alex H.
This past week at the Oktibbeha County Extension Office was dedicated to unpacking and re-organizing all the FARMtastic equipment used at the MidSouth Fair event. Mrs. White gave us three main tasks to complete by Friday. One of those tasks included going through the 8 trunks filled with components of each of the 5 rooms that we took to Southaven. We had to take inventory of each trunk and throw out any rotten or soiled items. 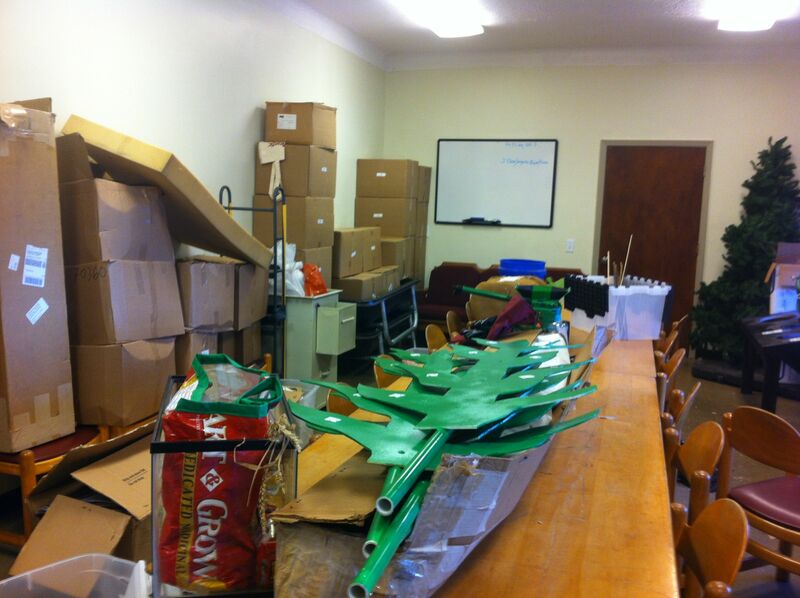 After the 8 trunks were cleaned and repacked, we took every other item in the FARMtastic room into the hallway. From there, we cleaned and fixed anything that needed it and placed it all neatly back into the dedicated FARMtastic area. It took longer than expected, but now we are able to focus on gathering and preparing materials needed for the bigger FARMtastic event that will feature 8 rooms in November.